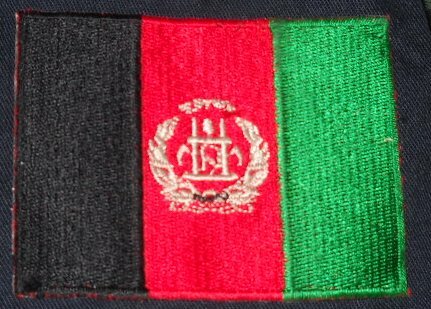 Here is a locally produced shoulder sleeve flag insignia in the Afghanistan national colors. 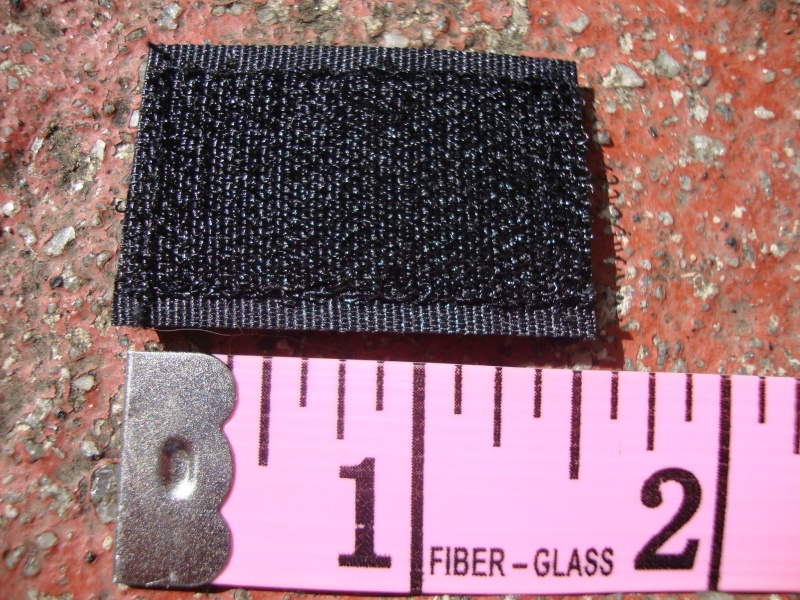 Three strips of nylon material sewn together together and backed with black velcro. An interesting variation. Here are a few of my Afghan flag patches as well. These two variations are velcro backed. The yellow bordered version is the most commonly seen being worn by ANA Soldiers. 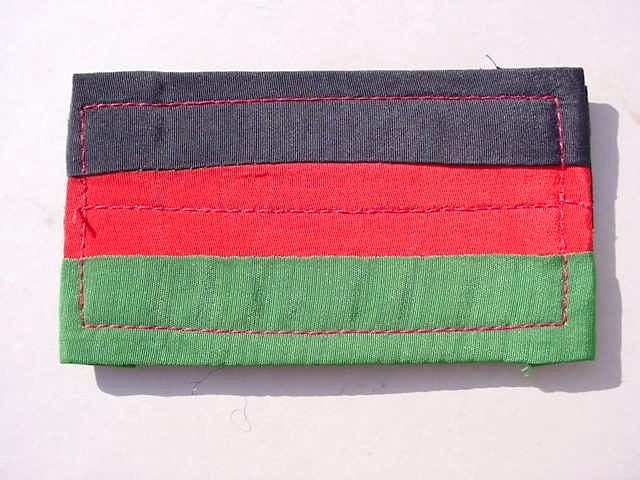 This is a sew on flag that is commonly seen on ANP uniforms. Sew on variation with black thread on the bottom of the wreath. This patch is attached to an Afghan Customs Officers uniform. Here is another variation. 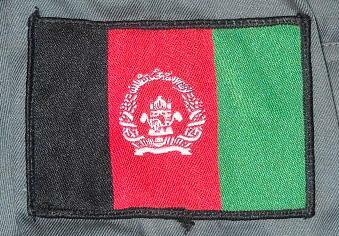 An Afghanistan National Police type very similar to Arch's (above) except note the small black detail highlights throughout the center national symbol. The flag patch has been sewn on as has the ANP patch below. 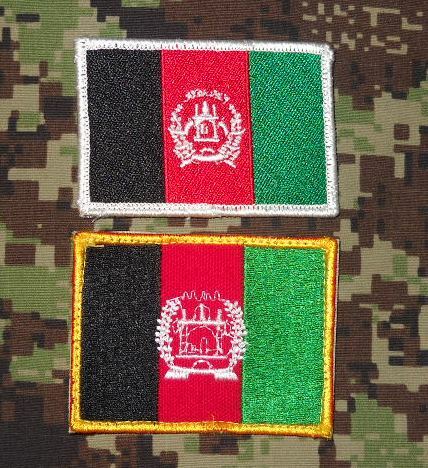 Both of these patches were obtained in Kandahar City. Cool Patches guys.Here's one of mine I'm not too sure whether it's Military or Police issue though ??? Just a guess....but I think it may be for a hat. I have a small ANA Commando insignia and they were meant to be worn on a tactical hat with velcro. I think this may be what you have here. Thanks Arch, that is very interesting, I thought it was very small for a patch that would be attached to a Jacket sleeve ( assuming that would be where the patch would go). I would not have guessed it was for a hat, but to be fair Afghan kit, is a complete mystery to me. I would be keen to see an example of one of these tactical hats, I 'm guessing it would be like the US baseball caps with various velcro attachments. Thanks for your input and idea, it's great to have your assistance on these matters. 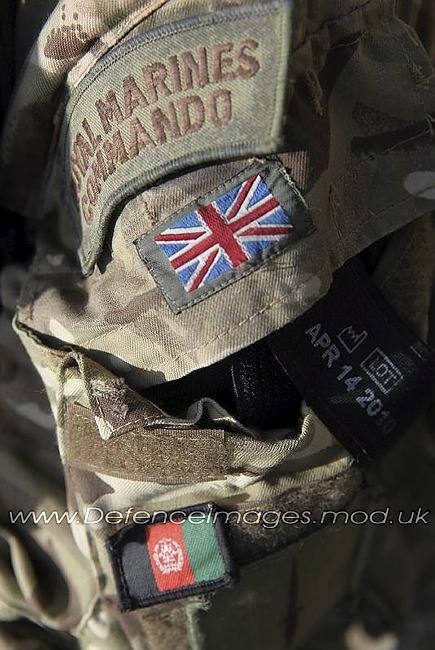 Royal Marine shoulder flash and badges. 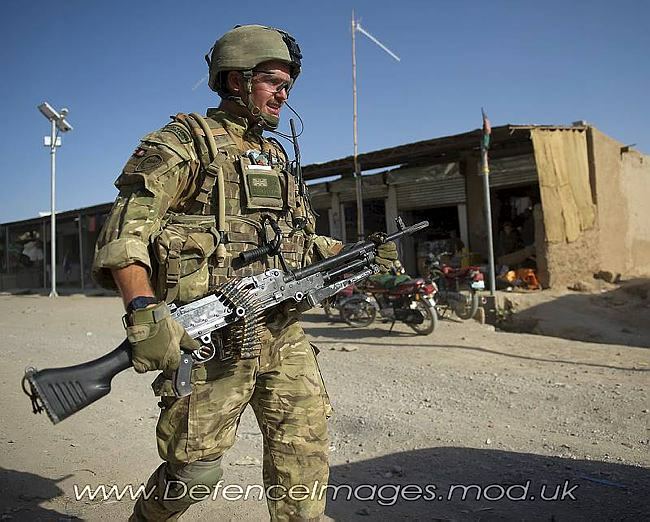 Royal Marine Commandos with M Company, 42 Commando, lead a clearance mission in northern Nad'Ali District, Helmand province, during Operation Zamrod Olai recently. 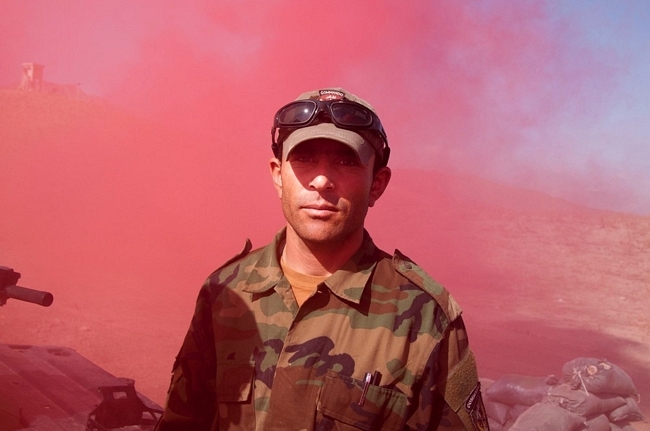 The operation involved a helicopter borne insertion of Commandos into an area that had previously seen very little coalition and Afghan security forces presence in order to disrupt insurgent operations and engage with locals. And there you go, Gary. Great work, JYN!!! I found the picture of the Afghan tactical hat. As you can see, the hat has a small version of the ANA Commando insignia. Hence, why I thought your flag may have been for something like this. Still could be as well. 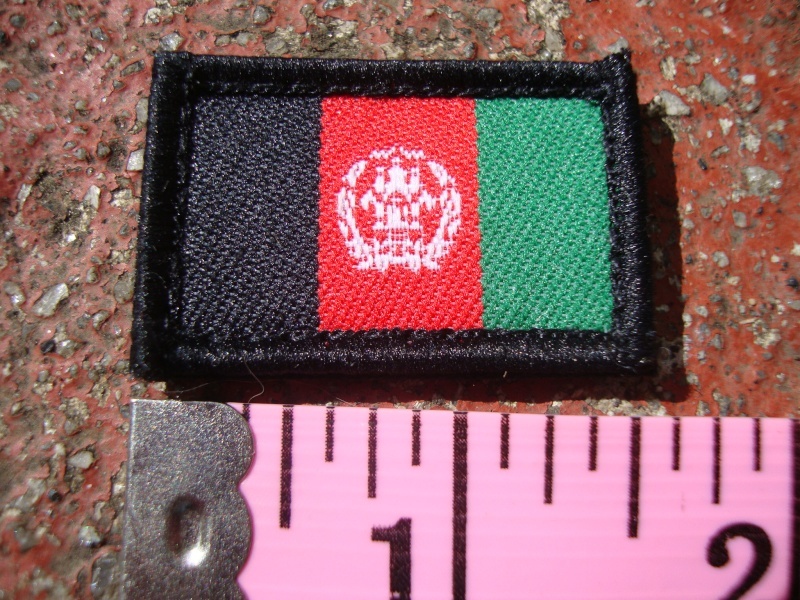 There is no standardization with the Afghans and patch placement. Thank you very much Arch, that's a great ref pic of the Cap, very interesting uniform too!! Not a problem, Gary. The ANA soldier is wearing the modified woodland uniform that is so popular with the ANA Commandos. nkomo wrote: Not a problem, Gary. The ANA soldier is wearing the modified woodland uniform that is so popular with the ANA Commandos. Thanks again Arch,I like the look of this modified Jacket a lot.